This time last week the Festival was drawing to a close after a brilliant ten days…and yet the memories of food feasts, music, workshops, gardens, drama and so much more are still strongly etched in our minds. Running a festival like this takes a lot of time, energy and of course, money. We have been lucky enough to receive a grant from Frome Town Council in previous years but receive no other funding from elsewhere. ‘But what about the ticket sales?’ We hear you cry. Well, most events throughout the Festival are done on a ‘fringe’ style basis so any potential profit goes straight to the venues & performers. There are a some events each year for which we, as a festival, take the (often pretty huge!) financial risk, for example, Billy Bragg this year. But after paying such big names the enormous fees they require and then paying for sound equipment & venue hire, etc we’re left with a relatively small percentage of profit (assuming that we sell plenty of tickets of course!). 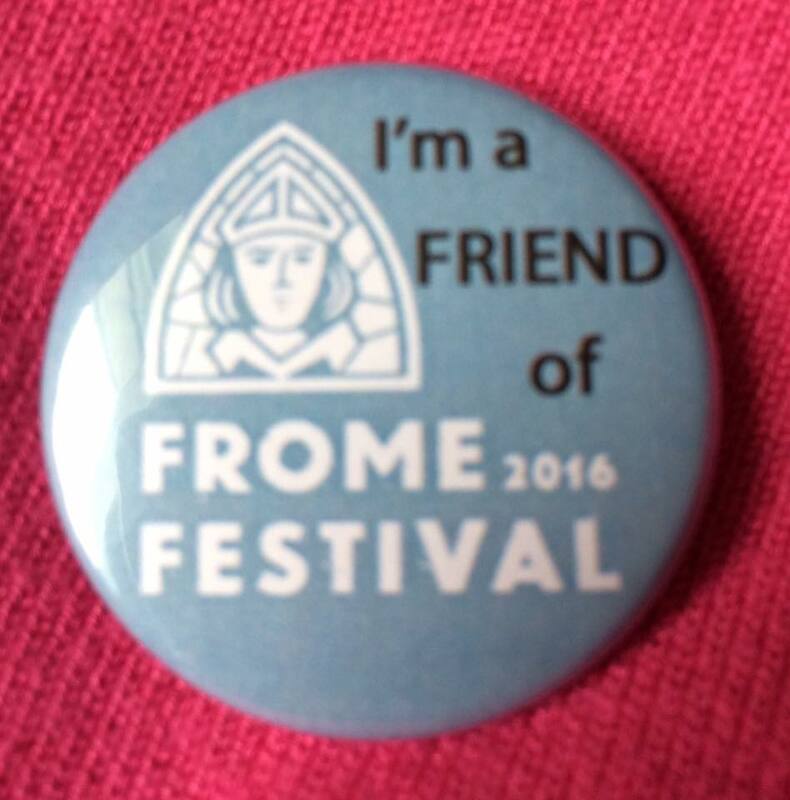 However, if you REALLY want to show your support in an additional way and help make sure we can continue to operate in future years, please consider becoming a ‘Friend of the Frome Festival’. For a minimum donation of £20 a year you will receive priority booking for next year’s festival, the opportunity to join in with various social events throughout the year (gigs, visits, quiz nights, etc), a Friends badge, an invitation to attend our AGM and eligibility to become a Trustee for the organisation (please send us a PM if you want to know more about this) AND most importantly, you will be able to sleep soundly at night knowing that you have helped to keep the Festival running for future years.